This collection of these prim, country graphics is perfect for all your Mother's Day, grandmother or gardening projects. 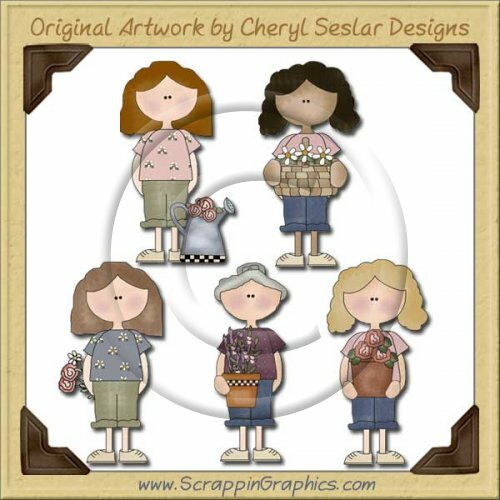 This set includes 5 graphics: Mom holding a flowerpot, Mom with a flower, Grandma holding flowerpot, Mom with watering can, African American Mom with basket of flowers. Great collection for making scrapbook pages, cards, labels, tags, invitations, and other printables.